Macromol. Rapid Commun., 2012, 33, 798-804. 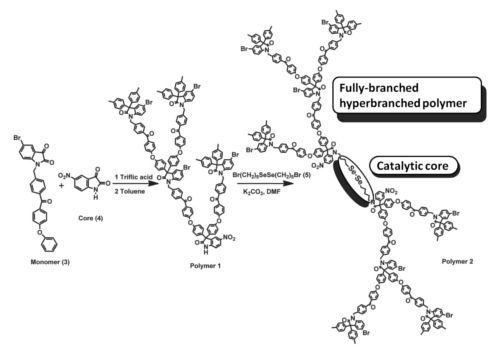 A novel glutathione peroxidase (GPx) mimic has been prepared by incorporation of a selenium-based catalytic unit into the focal point of a fully-branched hyperbranched polymer. First, an AB2 monomer consisting of isatin and an electron rich aromatic moiety was polycondensed in the presence of 5-nitroisatin as a core reagent, resulting in a polymer with 100% degree of branching. The latter was coupled to the catalytically active moiety, Br(CH2)5SeSe(CH2)5Br, by nucleophilic substitution of the bromides by the residual amide groups of the incorporated nitroisatin core. 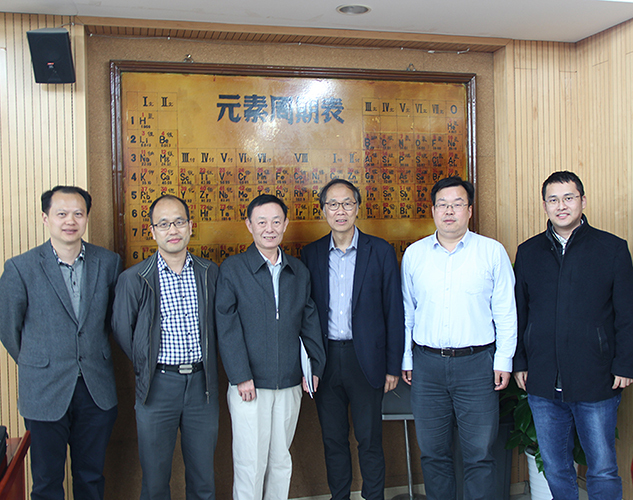 The obtained polymer has demonstrated prominent GPx activity as desired, which could be attributed to the hydrophobic, densely branched and core-shell structure of the polymer surrounding the catalytic center.